2015 Emmy Award-winning producer Dawn Mikkelson’s work has been seen on PBS, OUTtv and Free Speech TV, and has screened at numerous international festivals. Festival screenings include: the Galway Film Fleadh, Cambridge Film Festival, Cinequest, DocuFest Atlanta, American Indian Film Festival, Planet in Focus, and Washington DC Environmental Film Festival. Mikkelsen has completed five award-winning independent feature documentaries: Risking Light, The Red Tail, Green Green Water, THIS obedience, and Treading Water: a documentary, which celebrate the power and resilience of individuals who choose to take control of their fate and NOT to be victims of circumstance. 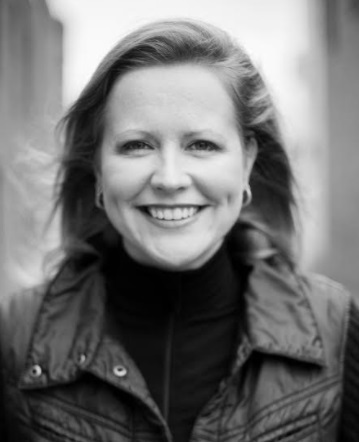 In addition to her independent work, Mikkelson is a frequent producer for public television, as well as creating cinematic content for brands, causes, and content platforms. I’m best at listening to my heart and following it when it comes to business and personal decisions. This hasn’t always been a skill I possessed. Particularly in my early adulthood, I ignored that internal voice or only listened selectively. It never led to a result that I was happy with. When things are really aligned (head/heart/spirit), that is when projects take off. When they take on an energy of their own. Then I get to be the caretaker of this project, rather than the reason for its existence. As the caretaker, it becomes less about me and more about this amazing thing that somehow found its way into the world and I was lucky enough to help it on its way. I have a combination of passion for storytelling and persistence that enables me to stick with projects, long after others would have given up. This is apparently just part of my personality from day 1. I remember in Elementary school, I wanted to produce a play with my friends. The school librarian would not allow me to make photocopies of the script, due to copyright issues I imagine. I was determined to produce that play and memorized the whole thing. Then wrote it down and distributed my hand-written copies to the cast. In high school and college this persistence and passion led me to talk teachers into accepting short films instead of papers for final projects. This manifested itself in history, English, and social science classes. Ultimately, it has led to a 20-year career in filmmaking. I aspire to living a life that balances creative expression and increasing the empathy of humanity. I see storytelling as a vehicle to help us see the best of one another, to get beyond the labels and perceptions that divide us. My hope for my films is that audiences fall in love with the subjects as much as I do. That they laugh, cry, and cheer for them as I do when I make the film. That by creating that intimacy, they now have a relationship with a person they never would have met before and it changes how they interact with the people in their lives as a result. This is both a personal and business goal. In addition, I am passionate about elevating the voices of women and other marginalized communities through this medium. I believe that that takes place both in front of and behind the camera. I used to lament that the pool of collaborators for film projects were primarily straight white boys. 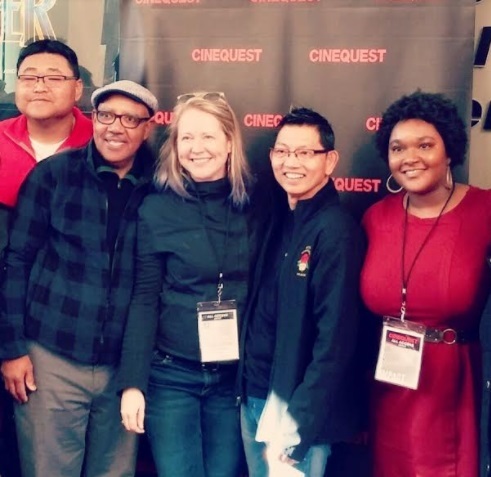 I’ve worked with a wonderful group of straight white boys over the years, but always felt sad that I just didn’t see women or people of color in our film community. Today I actively seek out these individuals for my collaborators. This act of seeking has lead to wonderful partnerships and has changed my films for the better. Outside of film, my personal aspiration is that my daughters grow up to be strong and thoughtful women. That they don’t fear following their passions, but also are savvy when it comes to what it takes to make those passions work. Giving birth to two amazing little girls (now 3 and 5-years-old) in my late 30’s. Girls who challenge me and inspire me in equal measure. For my most recent film, RISKING LIGHT, I originally interviewed a wonderful Aborignal elder. He loved telling his story and wanted it to be shared around the world. It fit quite well with the film’s message of healing and forgiveness. When he passed away, during the film’s post-production, we honored his culture’s tradition of not saying his name or showing his image while they mourned his loss. This put the film on hold for one year. After that year, I reached out to his family to inquire if they were ready for his image to be seen again and found myself in the middle of a major family fight. Although we had the legal right to share his story in the film, as well as support from his widow and other family members, it was clear that the film was being used as a weapon between some of his children over his legacy. After many tears and consulting with dozens of advisors, I decided that we would not share his story in the film, as the purpose of this film is healing and feared that his inclusion would only add to this family’s fight. The result of this decision was that I went back into my interviews from Australia and found another storyteller. After working with her story for a while, I discovered that it actually worked better for the film. Beyond this decision’s positive impact on the film, it was a lesson in the importance of following your gut instinct on something. Had I decided to proceed with this elder’s story, it would have gone against my internal compass and that would have been detrimental to my heart. I’m not sure if this is a motto or mantra, but I immediately thought of something my grandmother used to say. “Never try to talk someone out of their religion. It may be all that they have.” I’ve always taken that to heart. Not just for religion, but I think it translates into respecting people’s beliefs. I can share my perspective on issues, but I will never presume that what is right for me is necessarily right for someone else. My parents – These folks are the foundation of how I see the world. They supported and encouraged my creative expression. They made me believe I had a purpose in the world, but let me figure out what that was. We don’t always agree on everything, but the foundation of who I am is a result of their incredible parenting. The storytellers in my films – I get to see them in the biggest moments, as well as in their deepest struggles. They feel like family to me, as I spend months/years with them on my mind or actively editing their footage. I’m so honored with the stories they entrust me with. My children and my partner – They are what this is all about. 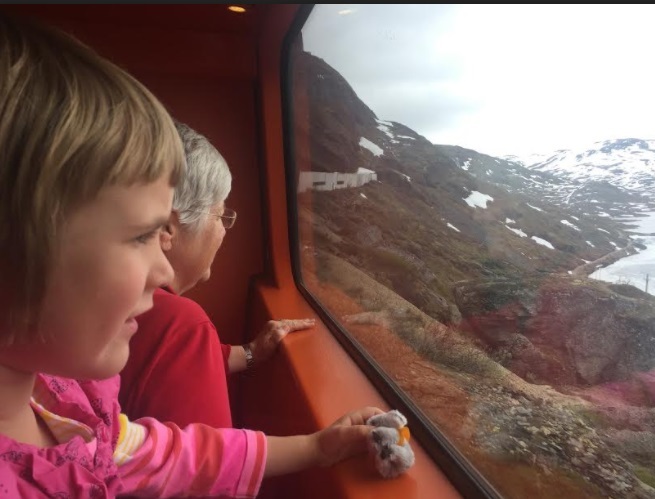 The train between Bergen and Oslo, Norway – Last year three generations of my family traveled to Norway to visit long-lost relatives and regions where our ancestors lived. It really felt like home. The ride on the train between Bergen and Oslo was a true highlight. Going through small villages, through fjords, and over mountains. Had I to do it again, I’d plan to get off the train a few times along the way and stay for a couple days in varous locations. Hiking in the mountains and just sitting there, taking it all in. Sydney, Australia – My partner Jim and I lived in Sydney for a couple months with our first child, when she was 10-11 months old. We were there for Jim’s work, so I spent the days exploring Sydney and the shorelines north and south of town with my daughter by public transit and rental car (I LEARNED TO DRIVE ON THE LEFT SIDE). It was a beautiful place with wonderful people. I would go back in a heartbeat. Lake Superior – I grew up sailing on a small boat with my parents on the South shore of Lake Superior for most of the spring/summer/fall weekends of my childhood. I also lived on the North Shore in Duluth for college. This lake is a spiritual well for me. I can sit on the shore for hours, just looking at the waves. Hiking around in the woods, smelling the trees, and looking for the best vantage point on of the lake. These are the things that renew my energy. This is a hard one. I don’t have many expensive or fancy items in my life. I LOVE a good goat brie cheese, maybe with some red wine. I like playing Settlers of Catan with my partner. I love all the costumes in my girls’ closet that they parade around the house in (who doesn’t like a green, three-eyed monster wearing a tutu and apron?). I love my hammock in the back yard, especially when my girls are snuggling with me in it. Tools of the trade . . . currently happy with Adobe Premiere for editing (this was a much-delayed transition from Final Cut Pro 7 about 2 years ago). I’m still in love with my EyeDirect, as it makes it possible for my subjects to look directly into the camera and see my face, thus creating a comfortable and inexpensive way of increasing audience intimacy by having the storytellers looking RIGHT AT THEM. 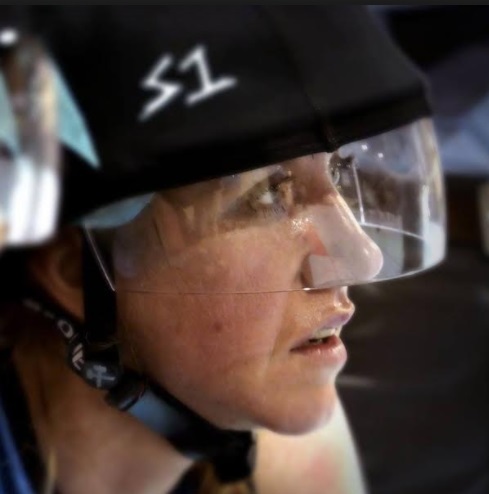 Women’s Roller Derby. I shot a film last year about the Minnesota RollerGirls AllStar team called MN Mean, which is currently in post production. The deeper I get into the footage, the more inspired I am to share this film with the world. It also has impacted my perspective on exercise and athletics, two things that I’ve struggled with historically. Watching these women push their bodies and themselves for the sake of something that they love so deeply is something I think about when I go to the gym.